In 2017, Jeremy Scott teamed up with Sephora to bring fans the Moschino x Sephora collection, and fashion- and beauty-lovers everywhere lost their collective minds. The dynamic duo have decided to join forces yet again for the second round of adorably kitschy Moschino by Sephora Collection beauty products. 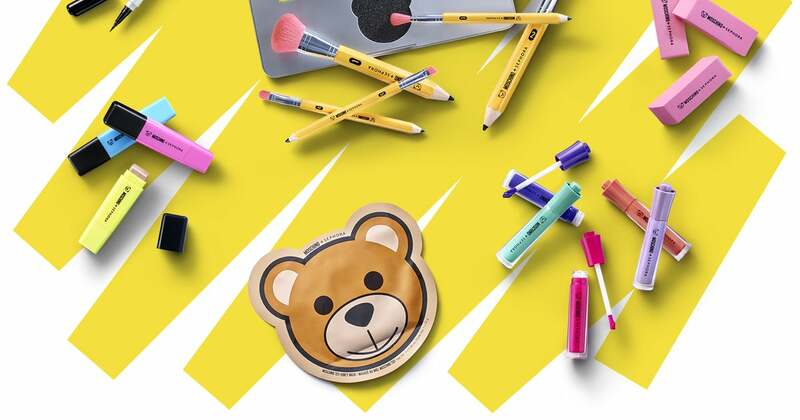 This time around, the limited-edition collection has a school supplies theme that’s way more fun than anything you’ll find at Staples (and we love Staples). From highlighters that look like — you guessed it — highlighters to a 30-color eye shadow palette that looks like a laptop, the collection includes everything you’d need for a bold makeup look (or to study for finals). The collection launches April 25 at 12 p.m. ET, so check your local store and Sephora’s website to shop the line.